I absolutely have fallen in love with the monthly box services that are out there!! I was recently contacted through my Sweat Pink Ambassador Program to review one of the newest boxes called Bestowed. So many goodies, where to start. I am a cookbook nut so I immediately went for the "Good Eating Salads" by Parragon Books. I have already prepared "Honey and Chicken Pasta Salad" and it was delicious The book contains over 140 step-by-step recipes with tons of pictures (a must in a good cookbook). My husband was the first one to grab hold of the cereal and have it for breakfast. I am lactose intolerant and didn't have any almond milk so I didn't get to try it. He loved it. Said it was tasty and took some more for lunch to put over his yogurt. The TeeChia Super Seeds Cereal is an energy-packed, high perfomrance cereal made from super seeds that gives lasting energy and promoted regularity. 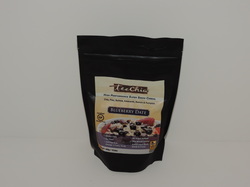 Check them out at TeeChia Super Seeds. CHIPS!!! My favorite snack in the entire world. I crave chips more than chocolate or sweets so I grabbed hold of these and hid them from everyone in the house. I LOVED them. Not spicy, sweet and crunchy everything I look for in a good chip. 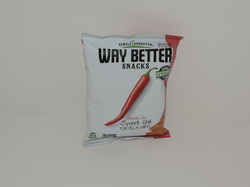 Simply Sprouted Sweet Chili Tortilla Chips are a healthy, gluten-free, non-GMO Project verified, feel good snack. The chips contain Omega 3's, antioxidants, other nutrients and are low in sodium and saturated fats. My 4 year-old daughter grabbed this one. I have no troubles letting my kids try healthy snacks. Most times, they prefer the healthy ones over the super-processed sugar packed snacks. We are going to order a few more of these when school restarts to take along. 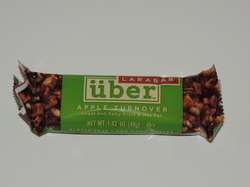 The uber bar is a unique sweet and salty snack made with while fruits and nuts. It too is part of the non-GMO Project and every bar is gluten free. I was hesitant about the texture of the bar for my daughter but she had no trouble devouring it!! Side note--- we were shopping at Target and found them on sale and she made me get a few boxes. No problem with that. I have not tried this product but am planning on taking it to work with me this weekend. I spend my weekends as an Occupational Therapist and am on my feet all day. I try to keep water with me as much as I can so hopefully after an early long run on Saturday AM I can try to rehydrate while treating my patients. 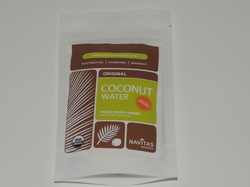 Navitas Coconut Water Powders is the best of coconut in an organic powder form making it much more convenient for those of us who are always on the go. Each 35 calorie serving provides 5 key electrolytes that support rapid hydration. This is another one that didn't make it through the first day. I tried this one the afternoon the box came to my door. VERY good, just like the peanut butter cup the product sheet listed but better. 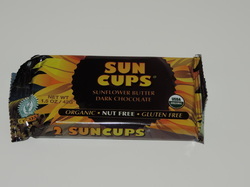 Dark Chocolate Sun Cups are made with sunflower butter, are nut free and vegetarian, Kosher, gluten free and non-GMO certified. Another great fact about these, only 190 calories! I am making shrimp scampi with these tonight. I love olive oil (EVOO as Rachel Ray likes to say) but it get expensive especially when that is our preferred cooking oil. California Olive Ranch Everyday EVOO takes the same care of their olives that winemakers take of their grapes. 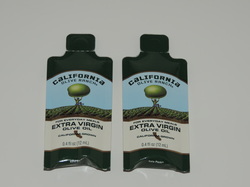 It is certified extra virgin from the California Olive Council and packaged in a protective green bottle that keep s the grown olives fresh longer. Can't wait for dinner tonight to try these out!! Long story short, these boxes have helped myself and my family find new and healthy products that we enjoy. We are removing much of the processed foods from our lives which makes snacking difficult for the kids. While carrot sticks and apple slices are wonderful option, sometimes my family just wants a bar to grab and go. Here's a little info on the company and some links to their Facebook page and home page plus a discount code. Anyone else trying out these box services? Any new products that you have discovered and love?